We don’t recognize a huge number of starches as safe, so it’s nice to find ways to prepare our favorite safe starches that give a slightly different taste. 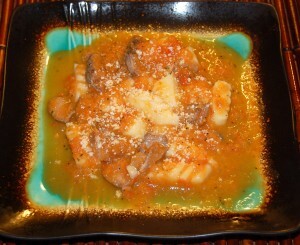 I made these Gnocchi (potato dumplings) the other night and they were delicious and so easy, a kid could make them. 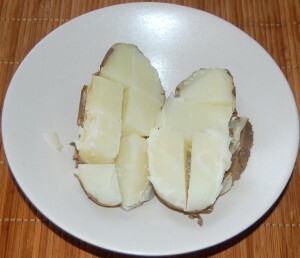 I used one potato (about 220 grams) boiled in the skin for about 30 minutes, left it to cool, then peeled it and mashed it up. I added one beaten egg, a little sea salt and 20-30 grams of tapioca starch (the amount needed depends on the moisture content of the potato. 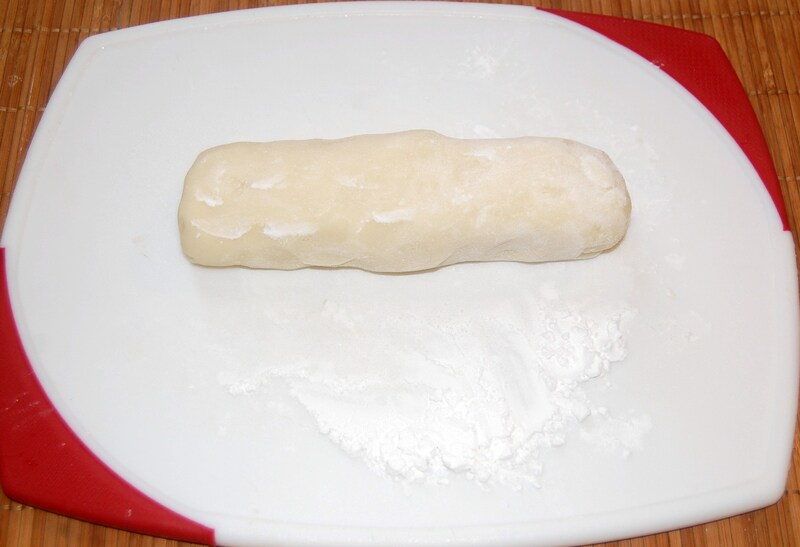 You want a fairly stiff dough). Put it in the fridge til just before dinner, then took out the dough and using a board dusted with more tapioca starch, rolled it into a “rope” about 1 inch thick and then cut it into pieces about 1 inch long. Dropped it into gently boiling water for about 2-3 minutes (the dumplings float), drained it, threw in chopped, fresh garden herbs and a lot of butter and had it with roasted chicken. Really good, very versatile and a recipe that could be tweaked in numerous ways. This was essentially our recipe too. We tested three kinds of starch – potato starch, tapioca starch, and rice flour – and liked the potato starch best, but all three worked. We made two kinds of sauces, a Bolognese-style sauce and a pesto sauce, but of course safe starches can be matched with anything – Cathryn’s herbs, butter, and roasted chicken sound great! When they float, they’re done. Any sauce will do. We’ve previously blogged about Pesto (Mar 27, 2011) and Bolognese style sauces (Cranky Grouch’s Spaghetti, Feb 6, 2011), but there are many possibilities. As in Cathryn’s recipe, just butter on potatoes is excellent, and with meat and vegetables makes a meal. Really good, very versatile and a recipe that could be tweaked in numerous ways. Potatoes have great nutritional value (lots of potassium and other nutrients), but it’s easy to get bored with the texture. Gnocchi has the same nutritional profile but a chewy, doughy texture that gives a different taste. Try it – you’ll like it! Nice! I have been looking for something to do with potato starch besides cover myself in it and pretend to be a ghost raccoon. Careful. Sounds suspiciously like a raccoon dumpling! Yeah, Stabby, better watch out. We Italians take our gnocchi seriously! Could this be done with sweet potatoes/yams? Would the recipe have to change much if at all? I’m not opposed to eating white potatoes, but I’m imagining a sage brown-butter sauce, and that just seems better suited for sweet potatoes. Yes, we tried sweet potatoes too. 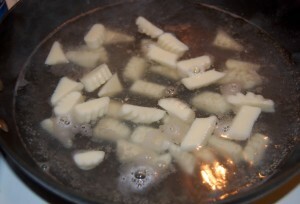 They’re more watery so they needed more starch, which makes the gnocchi a little tougher. But they were good. I love gnocchi – thanks for posting the “perfect health diet” version. Do you consider arrowroot a safe starch? I’ve used it in gluten-free baking but was curious if you consider it a safe starch. 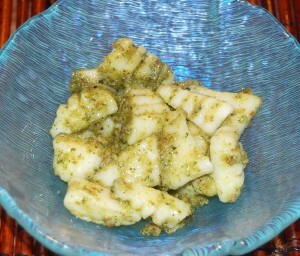 But they’re really better with pesto or tomato sauce (don’t forget to top with a bit of peccorino or parmigiano). Somehow gnocchi with bolognese don’t jive with me. You can of course go original italian and have the gnocchi as a first and eat your meat (e.g. 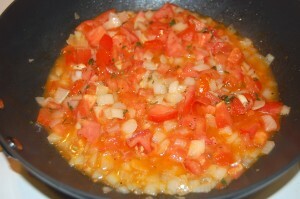 : veal scaloppini and some vegetables) after as main course. 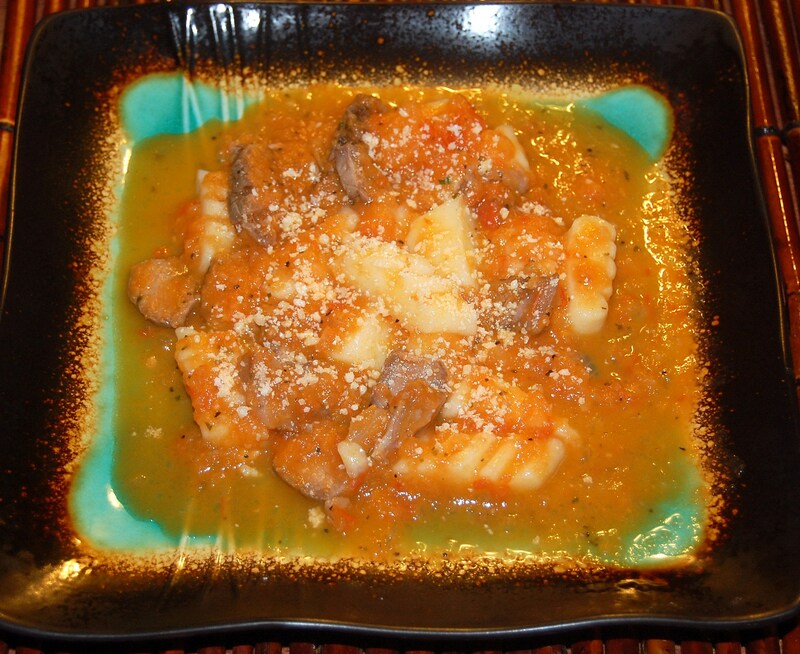 Gnocchi was a favorite childhood comfort food of mine (having an Italian step-grandmother who made her own). I can’t wait to try these! Hope my kids like ’em. Arrowroot is a root vegetable so it should be relatively safe with cooking. I don’t know anything against it. 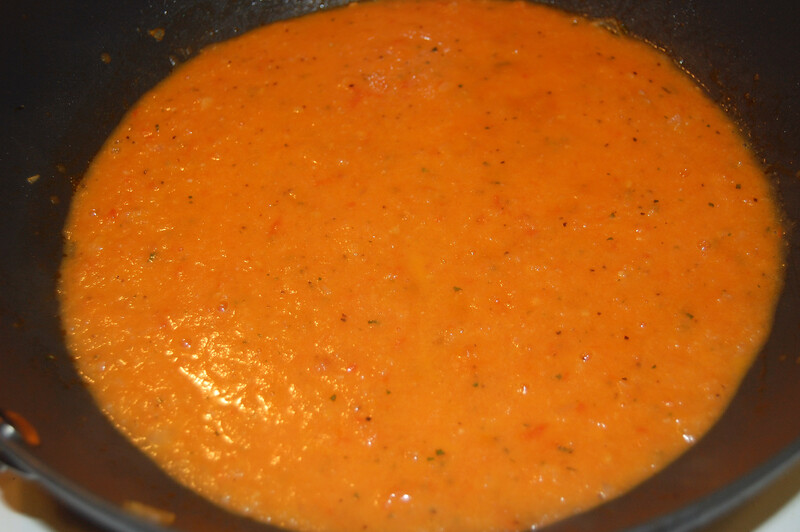 We need a guest post from you teaching us about Italian sauces! I have a freezer drawer stuffed with gnocchi! 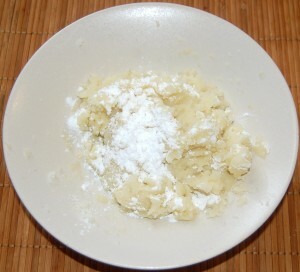 For starch, I use half potato/half tapioca. And around 80% potato, 20% sweet potato. For sauce: garlic roasted in ghee plus spinach, add full fat cream, roqueford or gorgonzola, salt, pepper and some kind of meat (usually bovine or shrimp). Looks wonderful. Think I’ll dig out a recipe I have that includes Italian sausage, fennel, tomatoes, and whatever else I don’t remember right now. . .
At what point do you freeze them? Tapioca starch has very little cyanide. Cooking reduces it even more. Before boiling. I put them in a large rectangular pan, two or three layers separated by waxed paper. After frozen, transfer then to plastic bags. You can drop frozen gnocchis direct into boiling water. Also, I think that’s the single best Stabby comment that I’ve ever seen. Mario, I want to come to dinner at your house. Sounds delish! 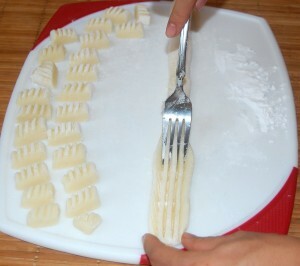 What do gnocchi eaters consider to be an adequate/acceptable serving size? I love gnocchi but I’m not comfortable with the amount of starch contained in what I think is a decent serve. 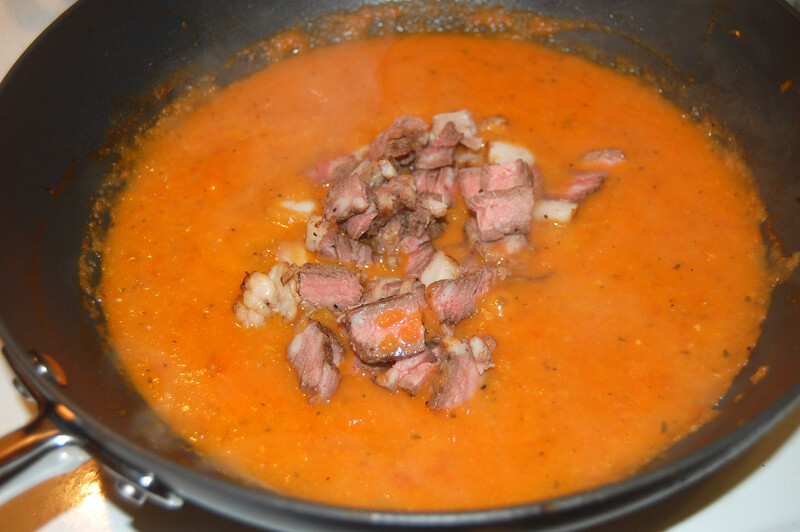 So far I’ve only tried it with a bolognaise sauce and went heavy on the sauce and light on the gnocchi but it sort of got overwhelmed and hardly seemed worth the effort in the end. There’s not that much starch. I just calculated this for Jimmy Moore. 1 large potato + 1/3 cup starch is 290 carb calories. This made ~120 gnocchi and fed 4 people. So 75 carb calories each. It was an excellent lunch and the gnocchi were not overwhelmed by the sauce. I used pre-made GF gnocchi (rehydrated potato, rice flour, potato starch and salt). One serving is listed on the packet as weighing 165g (about 50 gnocchi) so there’s quite a big difference between your serves (around 30 gnocchi per head) and the packet recommendation of 50. I am so glad I discovered the perfect health diet (through Chris Kesser and Jimmy Moore). 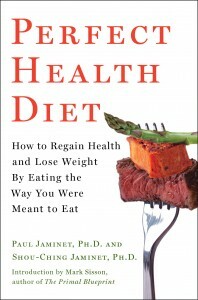 It was the tweak I needed to improve my mostly Primal eating habits. On a super low-carb diet I became irritable, lethargic and unenthusiastic about life. Adding a bit of starch and fruit completely changed my outlook and I am so relieved to laugh, feel happy and hopeful again. 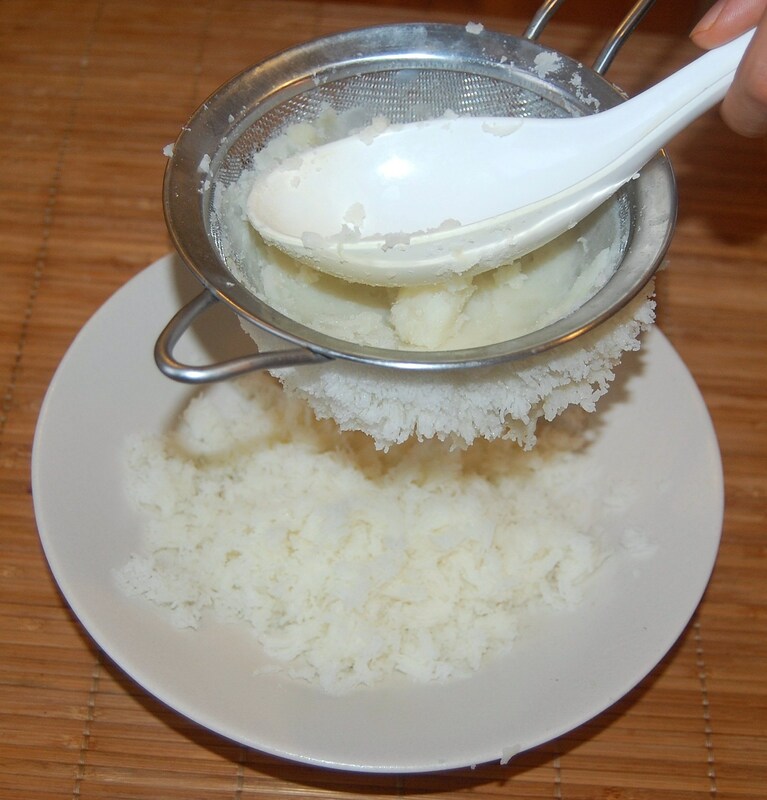 My 5 year-old daughter and I made this recipe for dinner tonight (the potato starch version). Hubby made the pistachio pesto with basil from our garden and we had some leftover roasted chicken. It was a huge hit for everyone. My daughter already has dibs on the leftovers for breakfast tomorrow. I could have eaten a dozen gnocchi balls but only ate 5 since I am fearful of an insulin reaction from the starch and am keeping my carbs between 50 and 75-ish. Is this something I should worry about? Unless you have diabetes, I don’t think you need to worry. Even if you have diabetes, it still may be good to eat a bit more carbs, you just have to be more careful about spreading them out and controlling blood sugar excursions. Eating 50 to 75 g/day is marginal at best, and considering that you had negative effects from just a slightly lower carb intake, I would eat a bit more. Whilst I can comprehend the concept of safe starches, high-glycaemic carbohydrates cannot be considered to fit that description. Holford cited a study of rats that demonstrated increased fat accumulation from eating high glycaemic carbs compared to low glycaemic carbs. It is better to prepare carbs properly by soaking for instance to reduce toxins, than eat high glycaemic foods. Thank you Paul, I appreciate your thorough and swift response. I am not diabetic, so I will definitely experiment with this. Of course I have learned to fear carbs after reading various articles in the Primal/Paleo world, but I will trust my body. My other issue since adding starches is BLOATING. Very frustrating seeing that my mood is much improved. If you have any recommendations that would be wonderful. Thank you again from a former crap eater. 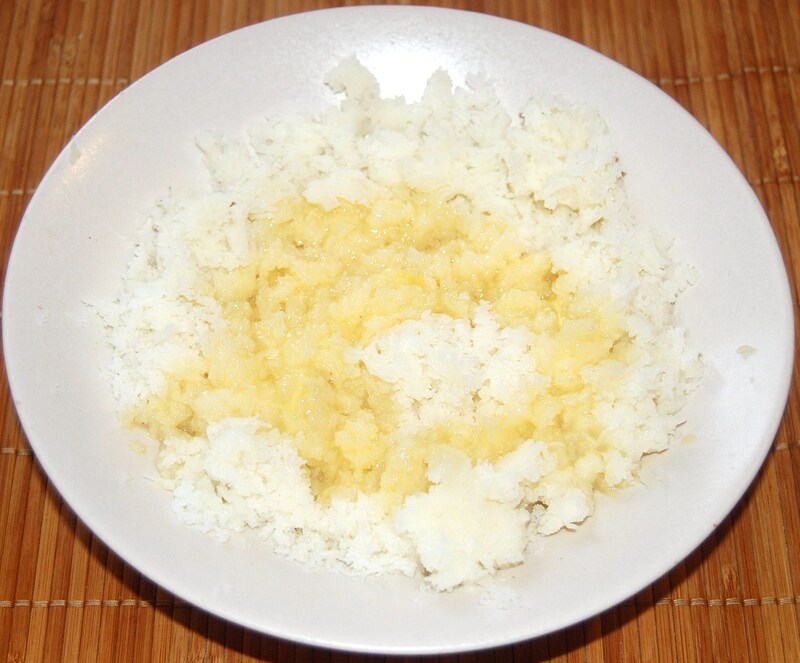 You might try using rice syrup to get carbs and cutting down on starch for a bit until your gut flora adapts to it. Take lots of probiotics and eat fermented vegetables. Eat a little bit of starch daily. When bloating lessens, increase the starch a bit. If that strategy doesn’t work, you might need antifungal drugs or some such thing. Probably not necessary however. Thank you again, Paul. I really appreciate it and will try this. Your book is on its way in the mail. I can’t wait to read it! Thank you Cathryn and thank you, Paul. 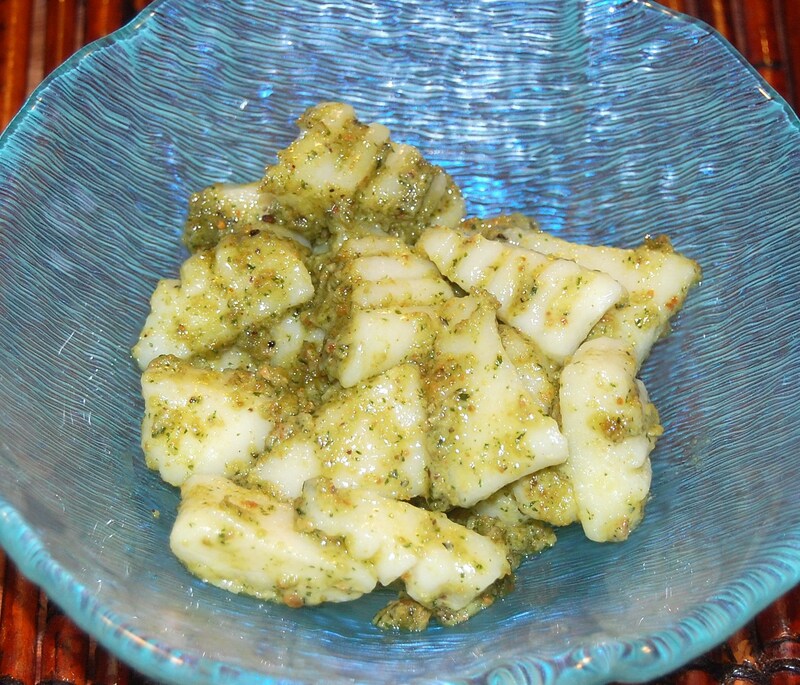 I made up a batch of gnocchi for our evening meal – Pan fried tilapia with a salsa verde over cavolo nero with gnocchi and pesto. Washed down with a good, honest bottle of Soave. I have some potato starch called “farina”, which is not the wheat flour you might be used to in the States, but a potato smash from Africa. It worked well. Much enjoyed, but … I’m another one who notices bloating after eating starchy foods. Plantain seems good, rice is fine, potatoes are fine, but these powdered starches maybe set me off. This is only my second venture into a starchier meal since going paleo three or four months ago. I am in the first few chapters of your book, Paul … and … well, I wonder whether I’m constructing meals right? I think I’m way over on the carbohydrate. I’ll keep reading. To be absolutely frank, this meal felt like one of my pre-paleo meals – a JERF meal. I don’t require an answer on this – I’m experimenting. Either way, tasty, fun, different and maybe what paleo people call a “carb refeed”. Have you read about the recent concern of high amounts of ARSENIC in rice put out by the FDA. 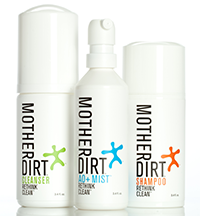 Includes all products made from rice, organic or not, white and brown. Recommending max of 2 servings a week for children. Frustrating as it had become my safe starch of choice recently. I think it’s only a concern if you don’t know where the rice is from. Only rice from the southern US has this problem. I think it is amazing you take the time to answer all of the comments on your site. Can this be done egg free? Yes but you’ll need more tapioca starch or another source of protein to hold them together. What kind of potatoes did you use? Would a floury or waxy type of potato work better? Either way I’ll probably just make these today with the potatoes that I already have- desiree, a waxy kind. I did it with a floury kind in the end. They were awesome! will make again for sure!!! We made these tonight and they were fairly good but it took a very long time to make a big enough batch for our large family and it took far more starch than the recipe indicated. They were a little too “soggy” even after adding more and more potato starch and we finally worked in a little guar gum to see if that would give it the stretchy/toothy consistency we were looking for, but it didn’t really help. 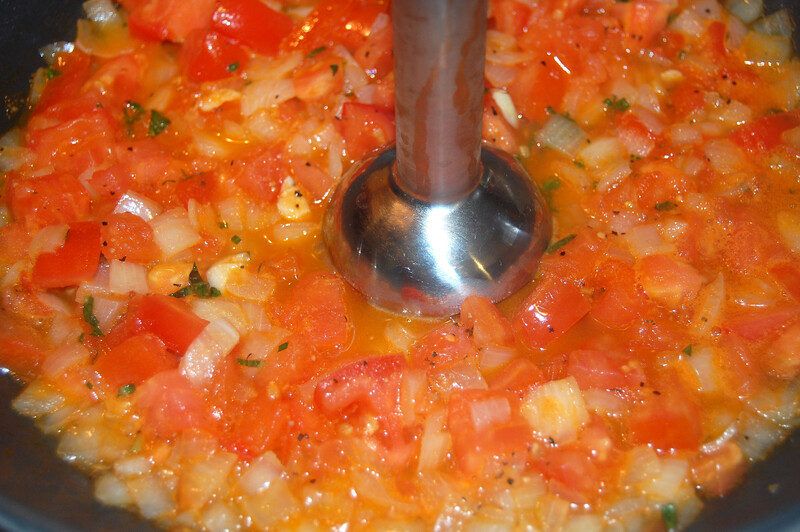 Most of the family did like them, but I would not call the recipe easy if you’re doing very many and it was quite hard to find the proper ratio. We tossed ours with my husband’s easy roasted tomato sauce, which complemented it perfectly (http://www.examiner.com/article/simple-roasted-tomato-sauce). I just made this. It was fabulous! Thank you for the recipe! We have made these a few times and they are just amazing! I’d love to try them with a little bit of cheese in the center or mixed in to make something like tortellini. Great recipe!! I tried these last year and loved them but suprisingly my kids didn’t like the gooey texture! But planning to make them again today but need to try an egg white free version. I’m going to try to replace the egg white with some gelatin water and see if that works. If anyone has tried an egg or egg-white free version do let me know. I can’t eat egg whites.